Many Americans believe beneficiaries of means-tested public health insurance programs, such as Medicaid, do not contribute towards their coverage by paying taxes. They are wrong; the vast majority of U.S. adults pay into state and/or federal general revenue funds, which are the main sources of program financing. 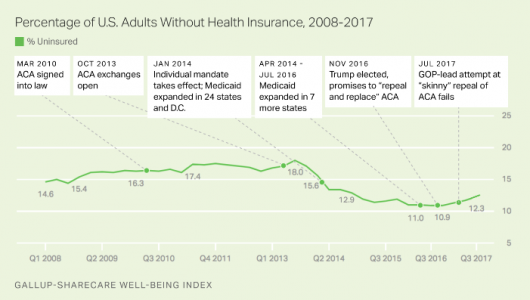 Nonetheless, this mistaken belief fuels opposition to the programs, which inhibits efforts to ensure all Americans have the comprehensive health insurance they need to access healthcare services. This ignorance must be addressed because the U.S. uninsurance rate is rising rapidly again and many insured individuals are not getting the healthcare they need due to high out-of-pocket costs. A public information campaign about program financing could reduce resentment between Americans thereby leading to a breakthrough in health policymaking. 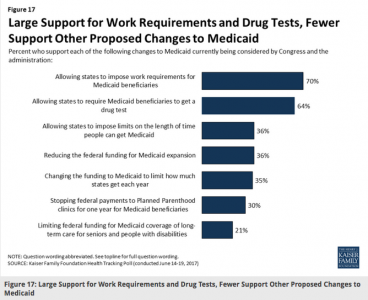 Yet, contrary to popular belief, most adult Americans “pay into” Medicaid. 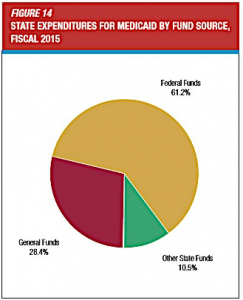 The federal and state governments jointly finance Medicaid and nearly all federal and three-quarters of state funds are drawn from general revenues. The federal government pays just over 60 percent of total costs (in the form of reimbursements to states who pay participating providers for services then submit matching claims to the feds) and states pay the remaining 40 percent. Over 80 percent of federal general revenues come from individual income and payroll taxes and 60 percent of state general revenues derive from sales taxes, user charges, and individual income taxes. Since almost every American shops for essential or luxury goods in person or online, most Americans pay sales taxes, if not user charges and income and payroll taxes. Ignorance about healthcare financing makes it difficult to enact policies that will make health insurance and care accessible for most Americans. Given there are no education requirements for Members of Congress and the President, some elected officials enter office with little or bad information about program financing, which means they cannot make informed decisions. Indeed, President Trump admitted that was the case when he said after one month in the White House “I have to tell you, it’s an unbelievably complex subject. Nobody knew that healthcare could be so complicated.” Those politicians who are well-informed must reconcile contradictory requests, such as “Keep the government out of my Medicare,” from confused constituents. Some might choose not to do so because public ignorance could serve their or their party’s self-interest in that it can be exploited, rightfully or not, to pit population groups against one another, such as citizens against immigrants. Providing the public with information about how (and from which population groups) federal and state governments collect tax revenue during the annual income tax filing season. For example, the federal Centers for Medicare & Medicaid Services could add a section to the 136 page Medicare & You handbook it sends each beneficiary each year explaining that, while the program is funded through payroll taxes, there is no direct relationship between an individual’s Medicare payments and benefits. Therefore, an individual could receive Medicare benefits whose value (in terms of premiums and claims paid by the federal government) exceeds his/her cumulative tax payments or not. Similarly, the Internal Revenue Service and state tax agencies could provide information about the sources and uses/allocation of tax revenues within their annual individual income tax booklets. More personalized, but potentially costlier, approaches could include providing annual Medicare or Medicaid statements similar to the Social Security Administration’s “Social Security Statement,” which tabulates annual tax payments and estimates likely benefits. Research has concluded that Social Security Statements do improve knowledge. Additional ideas could be drawn from other nations’ practices.